Top and cap are sold as a set. Dial position allows for complete fill. COMMENTS: Smaller than I wanted but that is my fault for not reading the description well enough. "Really nice for lip tints "
COMMENTS: I tried these for lip sticks but find that the slanted slim tubes are better for that use. These, however, are perfect for lip balms and lip tints. Great purse size too. COMMENTS: This size is perfect for a quick freebie to stick in customers bags. COMMENTS: I love the size of the lip balm tubes. COMMENTS: Love these slick lip balm tubes. Use them fo lipstick my customers love them they are super unique and fit in your pocket perfectly! COMMENTS: Love these sleek tubes. COMMENTS: Love these lip balm tubes. They are the perfect size for my ladies lip balms. I love that I can see the shades through the tubes. COMMENTS: I am so sad that these will be discontinued! I love that they are not the typical size and shape of regular chapsticks. They work perfectly for what I need. COMMENTS: I have been buying these tubes for years and they are the best price out there. Being transparent allows my customers to see the color of their lip balm of choice. i.e pink,mocha, plum etc. Love them! "Prefer these to normal lip balm tube"
COMMENTS: I was hestitant about them because they seemed rather small. However my customers prefer this size over the typical lip balm sticks because it is easier to turn the dial. The kids also liked it much more and had an easier time using this as well. "attractive for tinted lip products"
COMMENTS: Customers are attracted to this slim lip tube, especially when filled with tinted product. It's a mini moisturizing lip tint which sells well because it is not a big commitment in this petite tube. COMMENTS: I really like this tube for using up remaining lip balm in a bath that won’t fit in a traditional size. It is also great for making samples that won’t get lost like the squatty small sized tubes. COMMENTS: I liked that these little lip balm containers are a unique shape and style. It does not hold that much product but the slender size makes it look bigger than traditional sizes. This is always good for the bottom line , especially if you use premium ingredients. COMMENTS: This lip tubes are small and more difficult to fill than the standard sized tubes, but people love the unique design. I use a very small plastic measuring cup to fill them. Lip balm is easy to apply to lips from these tubes. COMMENTS: I love these tubes! You need a steady hand, but the end product is awesome! "Perfect Way to make special lip balm more special"
COMMENTS: I really like these slim tubes. Even though they hold less product,they are still very desirable to customers and are perfect for a product that has more luxurious qualities. I also like how easily they fit in a purse or pocket. • Slim tubes are desirable to customers. • Fit easily in purse or pocket. 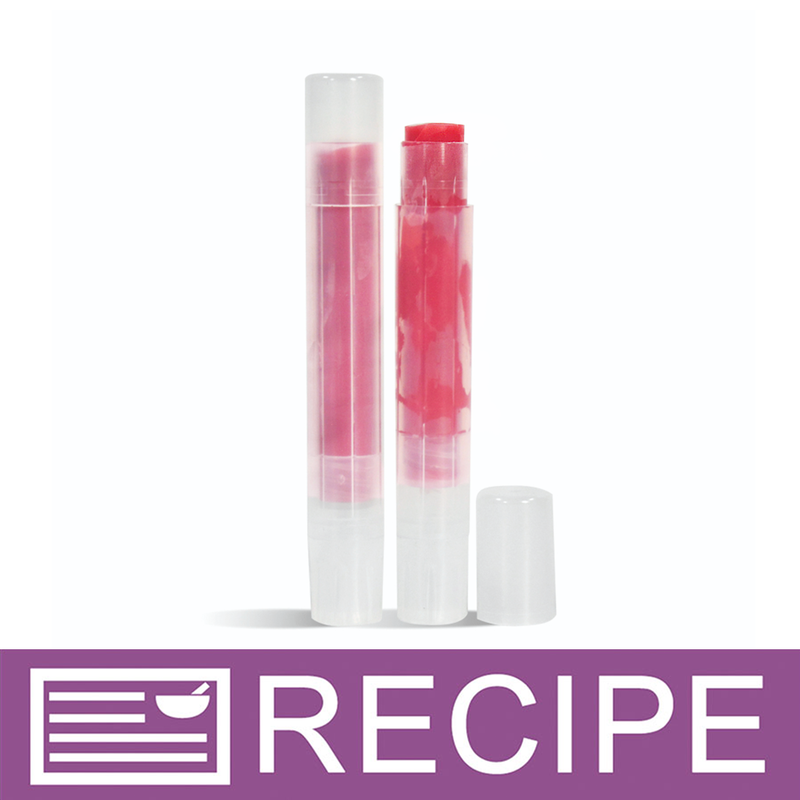 COMMENTS: These tubes are wonderful and my customers love the slim size for my lip balms. Perfect for applying without a mirror. COMMENTS: Nice sized tubes that stand out from standard lip tubes. Just wish there was a filling tray that matched the size. A steady hand is needed when filling these or you will spend as much time cleaning the tube sides as filling them. • Filling tray would be handy. COMMENTS: These slim tubes are perfect for tinted lip balms! COMMENTS: These are the perfect size for my undereye concealers. I do have to twist them slightly before filling them so the product doesn't get stuck. Once I do that is perfect without shorting how much product I have to put in. COMMENTS: These are adorable and balms look so cute. COMMENTS: The tubes seem flimsy and too small. Next time I will order larger, non-transparent tubes. "tiny - so tiny! :)"
COMMENTS: My customers love the slim sticks. COMMENTS: I love being able to use these for solid perfume. ".07 oz Natural Lip Tube & Cap - Slim Round"
COMMENTS: I love the size of this .07 oz Natural Lip Tube & Cap - Slim Round for my lip balms and lip glosses. They are the perfect size. Big enough to last a long time yet small enough that they don't get yucky in a purse or pocket. A great product. "Perfect for Cuticle Balms and Lip Sticks"
COMMENTS: These make perfect cuticle Sticks and Lip Sticks, My customers just love these, they fly off the shelves. "Slim sticks for cuticle balms"
COMMENTS: These are great little sticks for so many different products - sample sticks, check balms, chapsticks for kiddos, etc. My personally favorite is using them as cuticle sticks. Using a tray filler would be easier than freely lining them up to be filled using a pipette/dropper as they are easily knocked over (reminding me of dominoes). COMMENTS: I love when these go on sale! Great price and style. ".07 oz natural lip tube and cap"
COMMENTS: I personally like to use this type of lip balm tube. I prefer it over the basic tube usually seen. But it is not cost effective for me to buy them. COMMENTS: I don't know how I didn't realize this from the picture but these are about half the size of normal lip tubes. They are adorable though and perfect for kids lip balms or party favors etc. Also I think people like paying less for the lip balm, I only charge 1.95 for these guys. It is a nice add on when people are buying other things. Also I use them as a free gift when people buy a certain quantity of items. Very pleased with this purchase, even though I did not mean to buy the small ones. COMMENTS: These lip balm tubes a very cute. I really liked their slender size compared to the large lip tubes. They were very easy to fill and allowed the wax to cool ver quickly. COMMENTS: What a great product that makes my product stand out in a crowd. Easy to use and just right size. COMMENTS: LOVE that these COME with the lids!! Tiny, great for 'samples' of lotion bars or fragrances in general since I do 'matching sets' with fragrances! COMMENTS: I really like the slim design & look of these containers. They are simple & get the job done. I used them for lip balm/lip gloss & I like the fact that they are clear & you can see the color of the product without opening. Also, they were simple to fill & use & I have absolutely no complaints. I did have one out of the batch that when I rolled the lip balm up, it wouldn't roll back down, so I wasn't pleased with that but it only happened with one out of 12. That is the only reason I'm giving it a very good rating instead of excellent. COMMENTS: perfect, unique look for lipstick! COMMENTS: I like these containers for color lip balms. They are so elegant and my customers love them. They enjoy seeing the color through the container. I only carry a couple of lip stains but they are fun to make and see. COMMENTS: When I lay this lip shimmer stick on the checkout counter next to the more traditional, shorter lip balm sticks, 3 out of 4 customers reach for this one. Even at the same price or slightly higher ($1.95 each, or 3 for $5), customers prefer this slender style. COMMENTS: A classy alternative to regular lip balm tubes. COMMENTS: Great little tubes for girly lip balm and tinted lip balms, some of the caps are a bit loose and do not snap on too tight. COMMENTS: I love these lip balm tubes. They are small and sleek which makes them perfect for small purses. "Great Look - Hard to Fill"
COMMENTS: These are great for shimmer lip balms, but I find them hard to fill with the dropper technique that I use. I should get a fill tray which would eliminate most of the hassle! But I will definitely reorder. COMMENTS: You don't realize how small these are in real life but they are great! Great price and a super economical deal. I like the slim lines for better control in lipsticks vs. regular lip balm tubes. I like that you can see the color through it too. I'll be ordering more for sure. "Thought I'd like these more"
COMMENTS: These slimline lip tubes are well made and a nice small size for carrying in your pocket. I also love the natural coloring. However, I found them difficult to fill because they were so small I couldn't pour into them and the lip balm mix quickly hardens inside the droppers. I don't have a tray to screw them into to help with this so having one available may have solved my problem. Some people really liked the size, and I usually love slim lip balm tubes. However, I almost feel as though it is too skinny and takes too long to put on your lips. Also, I messed one up with a big bubble and tried to screw the lip balm out so I could try to refill it again. The push got stuck in the highest position and I could no longer use the tube. Didn't do that again! Overall though, if you like small tubes and have something or someone available to help fill them, they're really very good. COMMENTS: I have been using this size for my lip balms for some time now, and I like them because they don't have the "Chap stick" look. Easy to fill with the fill tray. COMMENTS: love these to show off beautiful colored pure lipsticks, perfect. COMMENTS: These were perfect for solid perfume! I had a little bit of trouble getting it into the tube because the tube is quite small, but they're really the perfect size. Tip: If you're like me and don't have a mini funnel use a cake icing tip! COMMENTS: These little tubes are wonderful for small gifts. Great size for purse or pocket! COMMENTS: Although smaller than a tube you would buy at the store, I find these to be perfect - especially when I'm experimenting with new recipes! COMMENTS: This slim tube is the PERFECT size for samples of Lotion Bars, Insect Repellants & Body Cremes. It also made a great size for stocking stuffers. COMMENTS: These are great for homemade lipstick. The clear color allows the pigment to be visible without taking the cap off and it's got a modern, stylish look to it. COMMENTS: Love these, they work great and make soo many with a little product. Very stylish especially with tinted product! COMMENTS: I love these for my lip shimmer. Just wish WSP had a filling tray to fit these so I wouldn't make such a mess! COMMENTS: I used these for a bit of a upscale look for tinted lip balms. They seem to be a hit. Thanks! "Lip Tube & Cap - Slim Natural"
"I will continue to buy these for as long as I can, but once discontinued, is there any other place that I could find them? I've briefly looked online and cant find them anywhere else. These are my absolute favorite lip tubed and will be so disappointed if I can't keep using them. " Staff Answer We are not aware of any places stocking this product after we discontinue. "Back in April of 2018, you said this lip tube was being discontinued but then in August of 2018 you said it was NOT being discontinued...it still says close out next to the pricing, so I'm just confused as to whether this is actually being discontinued or not? If so, are quantities so limited that I should order asap? " Staff Answer This lip tube is being discontinued. We have changed the answer to the August question to reflect this. We cannot say when we will be completely out of this product but if you use these, we would recommend stocking up if you can. "So is this still being discontinued? I don't see where it says close-out." Staff Answer Yes, we are closing out on this product. "Why does this item say closeout? Are you discontinuing it? " Staff Answer Yes, this lip balm tube is being discontinued. "How tall does this tube with lid measure? Would it fit in a case measuring 8.5 cm tall? " Staff Answer This tube and lid measures 3 1/8 inches tall. "Is there a filling tray for these like the regular size has?" Staff Answer Hi Rosina, we currently do not carry a tray to fit the slim lip tubes. I did see a review from a customer saying she uses a pipette to fill her tubes. That may be worth a shot! "What size shrink bands do you recommend for these?" "Can these lip balm tubes be recycled? And how/where?" Staff Answer These lip tubes are made of Polypropylene and have a recycle number of 5. You will need to check your with local community to determine if these are recyclable in your area. "I love these tubes !!! However, my Avery labels will not stay put and come right off... I make sure and clean the outside of the tube with 91% alcohol, but the labels still won't stick and stay. 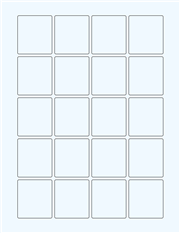 Could someone please tell me what you use as a label, and how do you get all of your info on such a small label? Thank you !!!" The only time I've had a problem with Avery labels staying on this same tube is when I've used their frosted labels. I don't know if that's what's happening to you, but I've never had a problem using the clear label on these. "So with the subdividing,if I wanted to do 3,3,3,2 with diff flavors (since the recipe is for 11 tubes) I want to be able to pour the right amt into the 3 tubes without wasting any. How will I know how much goes into 3 tubes? Can I use water a s a guide, then measure it out?" 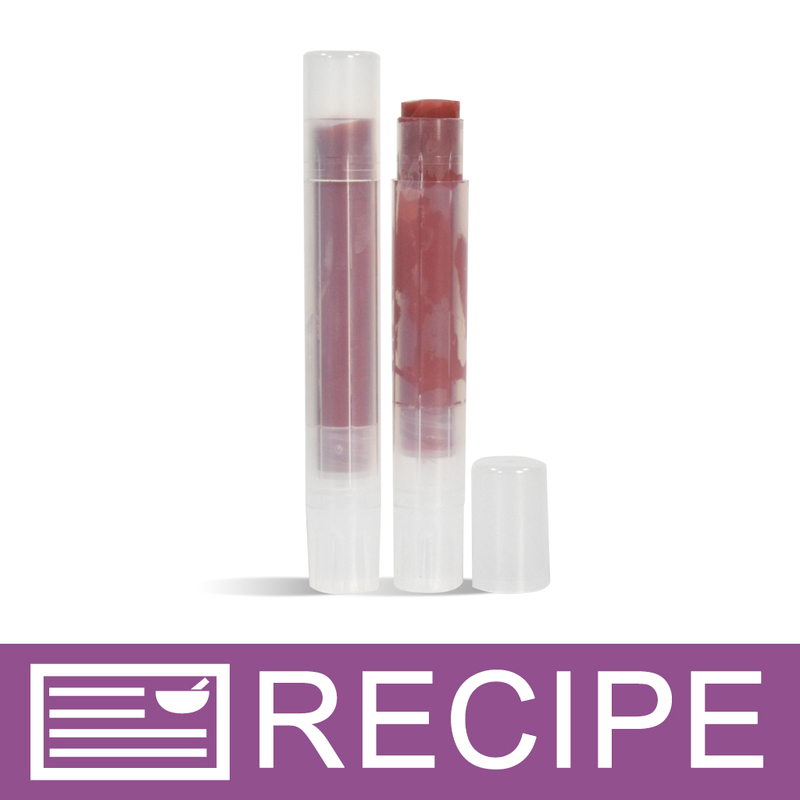 Staff Answer Our Creamy Berry Lip Balm recipe is such a small recipe that it would be very difficult to divide it into 4 different flavors. Three of the slim lip tubes will hold 0.21oz of lip balm. You could make the full recipe and store the leftovers for up to 1 year. These lip balms also make great gifts! "How many tubes come in a set?" Staff Answer One lip tube and one cap is referred to as a set as many of our products are sold separately from the lid or cap. "What size labels fit these tubes and where can you buy them?" Staff Answer We are not affiliated with any label companies so cannot make a recommendation. The label area (from the dial to the bottom of the cap) is about 2" and the circumference is about 1.5".